Similar to the rest of the Shredder line, the Shredder 20 is built around a low profile alloy frame. 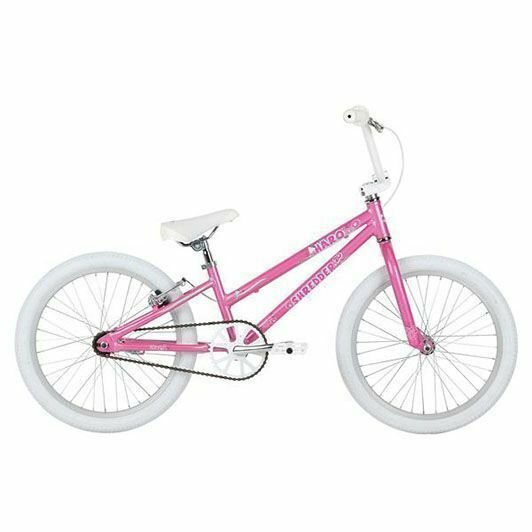 Many of the same features like 1 1/8" threadless headset, rear coaster brake and linear pull v-brakes are all found on the Shredder 20 but what sets it apart from the rest of the line are the full size 20" 36 spoke wheels. Also included is a full matching pad set.